Crystal Shaw has been quietly making her way up the Canadian ladies barrel racing standings, placing at the occasional event before returning home to Daysand, Alta., but “we kind of got a little louder this weekend,” she laughs. Shaw placed second at the Airdrie Pro Rodeo after clocking in at 14.55 for $3,430, then claimed top honours at the Williams Lake Stampede for her first first-place cheque of the 2010 season, worth $3,322 after a 16.30 second run there. 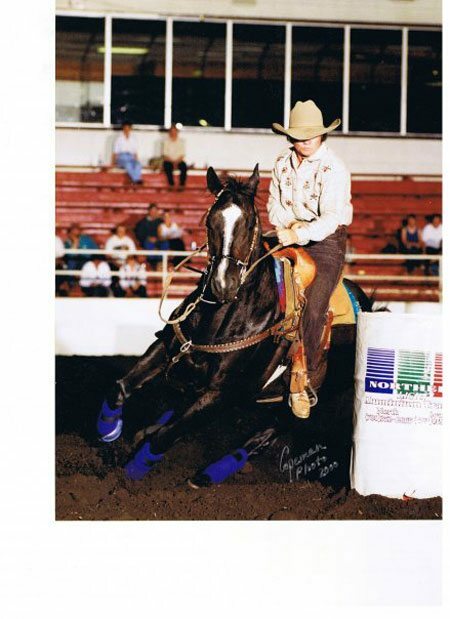 In true barrel racing fashion, she credits her horse, Carter. The 10-year-old gelding started running barrels with Shaw in the pros last season, after her main steed, Jag, suffered an injury. Jag, 15, is all healed up now and ready to return to the sport, but Carter has been doing so well that Shaw is going to let him run. “We were just going to go to a few and pick and choose as we go along, but we might be going to a few more than we had figured,” she admits. Shaw, who has been rodeoing professionally since 1992, has yet to make the cut for the Canadian Finals Rodeo (CFR). And while she might amp up her rodeo presence, she really won’t be taking that much of a step back from her training. Please visit rodeocanada.com for the most up-to-date results and standings.